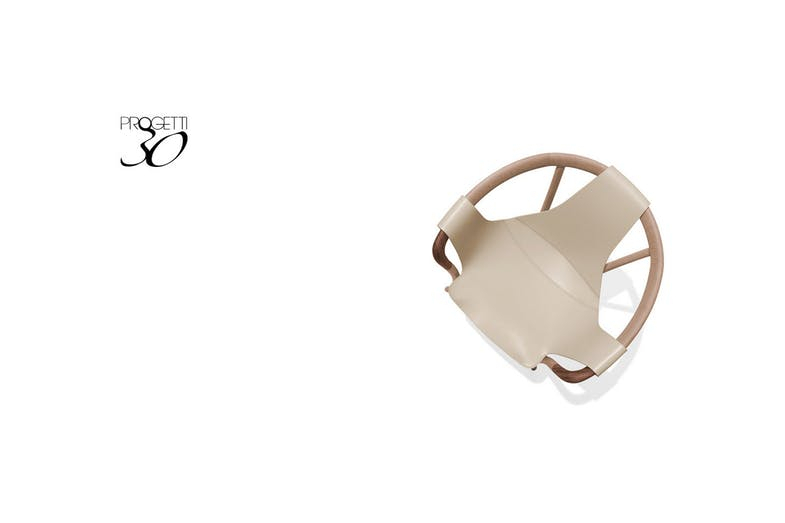 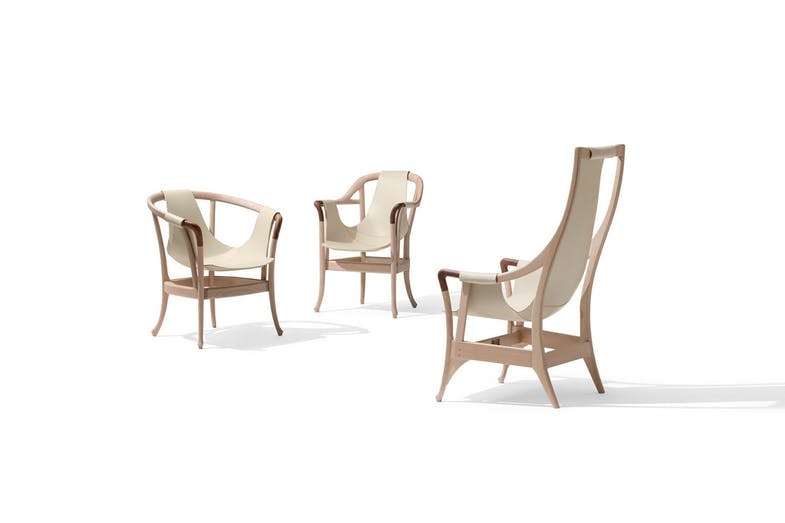 A series of armchairs with the frame in solid beech wood. 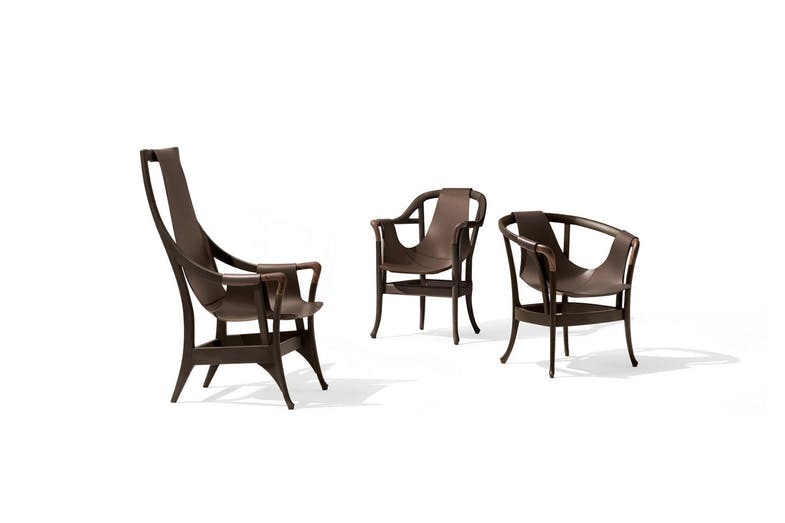 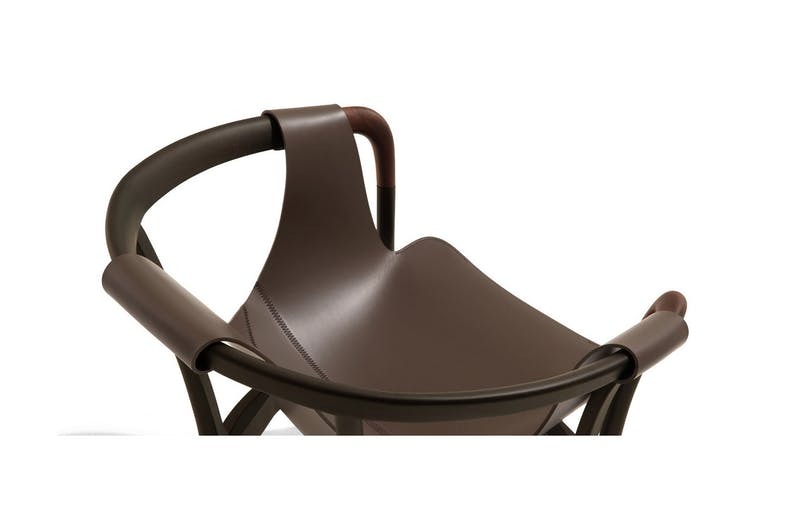 The armrests are in polished pau ferro wood. 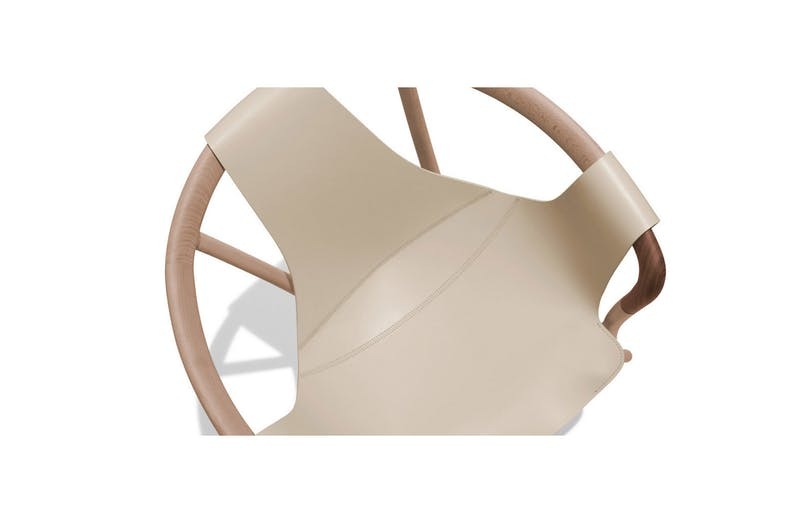 The seat and back are in saddle leather, paired with the beech finish: tobacco saddle leather with finish 2T (anthracite grey) and milk saddle leather with finish 2V (natural).